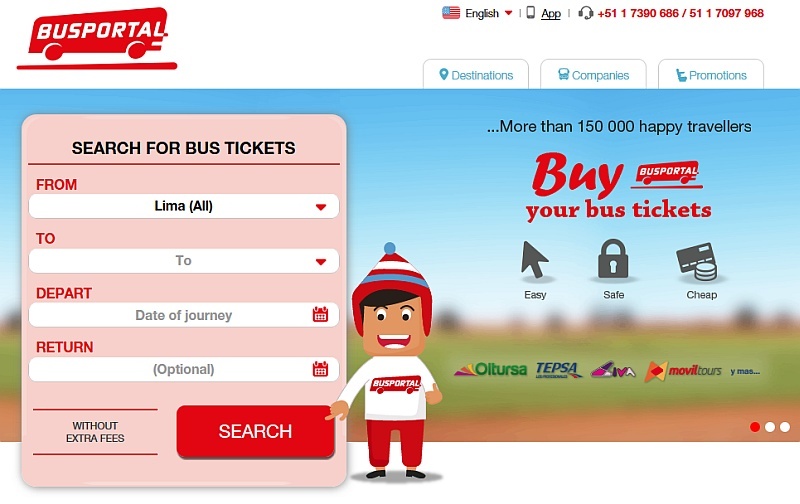 Ibibo Group-owned redBus has bought a majority stake in Peru-based bus ticketing platform Busportal for an undisclosed amount, a move that will help the Indian entity foray into the Latin American market. redBus, which also has operations in Malaysia and Singapore, will now gain entry into large and under-penetrated online bus ticketing markets in the Latin American region like Peru, Colombia and Chile. No financial details of the deal were disclosed. In addition to its local market expertise, Busportal.pe will leverage the redBus technology, product and brand name to launch and grow these markets, redBus said in a statement. The co-founders of Busportal – Hassan Bourgi and Carol Riboud – will continue to drive the operations in Peru and further expand into Colombia and Chile, it added. “redBus’s entry in the region will benefit the overall online e-commerce market. We are very enthusiastic about scaling up the platform with the support of the most innovative company in the industry,” Bourgi said. Busportal’s application allows users to book bus tickets for over 20 bus operators in Peru and covers more than 70 percent of the routes. “We are excited to partner with Hassan and Carol to expand redBus into Peru, Columbia and Chile. We believe that this will be a strong combination of local knowledge and the robust global platform and technology of redBus,” Ibibo Founder and CEO Ashish Kashyap said. Ibibo Group also owns other online properties like Goibibo.com, Yourbus and ibibo Ryde. redBus, which is present on mobile and desktop, has sold over 60 million tickets through its platform. It offers services of over 2,300 bus operators across 70,000 routes in India.